Rachael Horton was a Liberty graduate and an advocate for animals everywhere who worked as an assistant at the Gentle Animal Care Hospital in Forest, Va. In her time at the animal hospital, she felt a passion to help people who were without the means to pay for their animals’ health care, and she came up with the idea to put aside some of her own money to help those people and their pets. helping people and pets a reality. The second annual Rachael’s Paws and Purrs 5K and 10K will take place at Riverfront Park Sept. 22 in honor of the Rachael Horton Compassionate Care Fund (RHCCF). The emcee for the event will be Velvet Hall from Roanoke radio station WFIR, and after the race, there will be a concert by Lynchburg band Creeksyde. The race is open to both runners and walkers, and if you have a well-behaved animal on a leash, they are always welcome. “The race will begin at 8 a.m., and we are still accepting registration forms. If somebody shows up 7 a.m. that Saturday, they can register the day of,” Pearl August, the facilitator of the race, said. 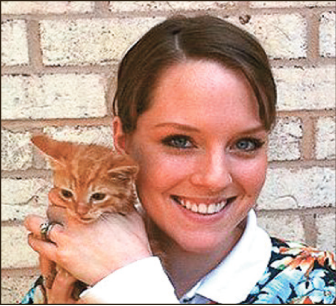 The RHCCF was started in 2011 by the Gentle Care Animal Hospital in loving memory of Rachael Horton, who died in an apartment fire at the age of 26. The race is only in its second year, but RHCCF hopes to expand in the future in order to help the most amount of people that they can. To learn more about the Rachael Horton Compassionate Care Fund and how you can make a difference, visit rhccf.org.